This is one for those of you with an interest in niche perfumes and supporting smaller British brands. Keep it in mind for your Christmas list, or if you have a hard to buy for, beauty-loving friend. Ruth Mastenbroek is a family-run business with a small collection of beautiful perfumes, all made in England. Ruth, who’s made perfumes for various British brands (including Jo Malone and Jigsaw), is the perfumer, and her son and daughter take care of the business side of things. Ruth’s heritage goes all the way back to working on the Selfridges fragrance counter in the 1970s, and she launched her eponymous brand in 2010. 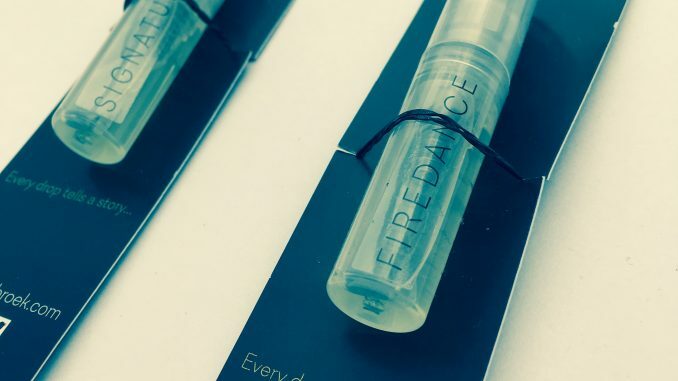 Firedance is a seductive, smoky rose. It reminds me a lot of what I was trying to create when I went to the perfume workshop earlier this year. It’s a very grown-up rose, with a background of smoke and leather. I REALLY like this and would happily wear it all day. I know not everyone likes rose, so it may not be for you. But if you’re a rose fan, this is right up your alley. Signature could not be more different, and I would say this is more of a fresh, unisex scent. It’s fruity, but with a woody base. Really delicious. I’ve been saving up these samples for days when I want to smell frickin amazing – just a tiny spritz lasts all day without announcing itself to the whole room. I really hope this brand becomes a cult success. 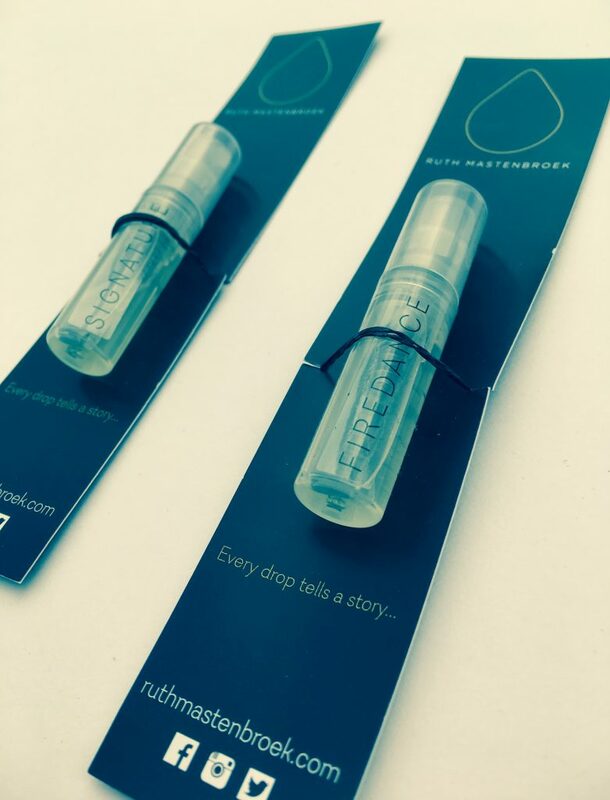 Both Firedance and Signature retail at £90 for 50ml of the Eau de Parfum at the Ruth Mastenbroek website, or you can pick up a 3ml sample size (shown here) for £5. There’s also a gift set of all four Ruth Mastenbroek fragrances available here for £15 – what a lovely gift for the perfume lover in your life.